No human lives but many irreplaceable government records were lost when the steamer was wrecked on the Wairarapa coast. The 1862 parliamentary session was the first held in Wellington. The White Swan was carrying politicians and records from the capital, Auckland, to which southern members had refused to travel. After the ship struck a reef, the cases of documents were hoisted on deck but proved too heavy for the ship’s small boats. Thrown into the sea in the hope they would float ashore, they were last seen heading for Chile. The distinguished passengers spent four nights top and tailing in a nearby woolshed, easing their discomfort by barbecuing drowned animals and draining washed-up casks of wine and spirits. Meanwhile, MHR Robert Graham rode overland to Wellington to intercept the steamer Storm Bird, which soon rescued the castaways and their surviving luggage. Governor George Grey had fared little better, his ship blown almost to the Chatham Islands by a gale. When the parliamentary session began a fortnight late, the Fox ministry soon fell. The episode played a role in the decision to make Wellington the capital in 1865. 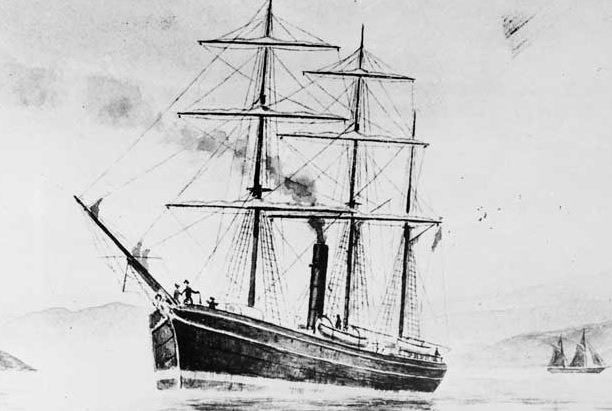 After the 1862 session ended two Auckland MHRs, including Graham, embarked for home on the Lord Worsley and had the misfortune to be shipwrecked a second time. We have 5 articles, related to Wreck of the White Swan.